The use of bones for divination, sometimes called osteomancy, has been performed by cultures the world over for thousands of years. While there are a number of different methods, the purpose is typically the same - to foretell the future utilizing the messages displayed in the bones. Is this something that modern Pagans can do? Certainly, although it’s sometimes hard to come by animal bones, particularly if you live in a suburban area or city. But that doesn’t mean you can’t find some–it just means you have to look harder to find them. Animal bones can be found on the ground in their natural environment any time of the year, if you know where to look. If you don’t live in an area where finding your own bones is a practical task, then make friends with people who live in rural areas, call up your cousin who hunts, become buddies with that taxidermist who has a shop out by the highway. If you have moral or ethical objections to the use of animal bones in magic, then do not use them. In some societies, bones were burned, and shamans or priests would use the results for scrying. Called pyro-osteomancy, this method involved using the bones of a freshly slaughtered animal. In parts of China during the Shang dynasty, the scapula, or shoulder blade, of a large ox was used. Questions were inscribed upon the bone, it was placed in a fire, and the resultant cracks from the heat gave seers and diviners the answers to their questions. It is believed the Celts used a similar method, using the shoulder bone of a fox or sheep. Once the fire reached a hot enough temperature, cracks would form on the bone, and these revealed hidden messages to those who had been trained in their reading. In some cases, the bones were boiled prior to burning, to soften them up. 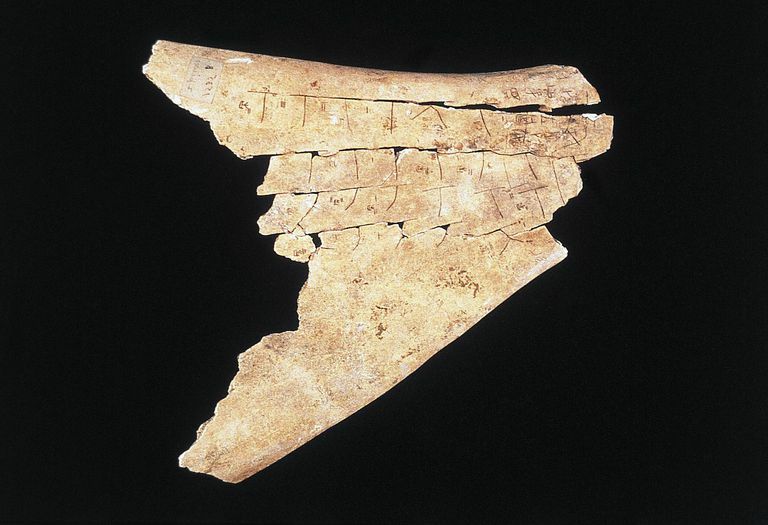 Much like we see on Runes or Ogham staves, inscriptions or markings on bones have been used as a way of seeing the future. In some folk magic traditions, small bones are marked with symbols, placed in a bag or bowl, and then withdrawn one at a time so that the symbols can be analyzed. For this method, smaller bones are typically used, such as carpal or tarsal bones. In some Mongolian tribes, a set of several four-sided bones are cast all at once, with each bone having different markings on its sides. This creates a wide variety of end results which can be interpreted in different ways. If you’d like to make a set of simple marked bones of your own to use, use the guidelines at Divination By Stones as a template to make thirteen bones for divinatory purposes. Another option is to create a set of symbols that are the most meaningful to you and your personal magical tradition. Often, bones are mixed in with other items–shells, stones, coins, feathers, etc.–and placed in a basket, bowl or pouch. They are then shaken out onto a mat or into a delineated circle, and the images are read. This is a practice found in some American Hoodoo traditions, as well as in African and Asian magical systems. Like all divination, a lot of this process is intuitive, and has to do with reading the messages from the universe or from the divine that your mind presents to you, rather than from something you’ve got marked down on a chart. All in all, there are a number of ways to incorporate the use of bones into your magical divination methods. Try a few different ones, and discover which one works best for you.